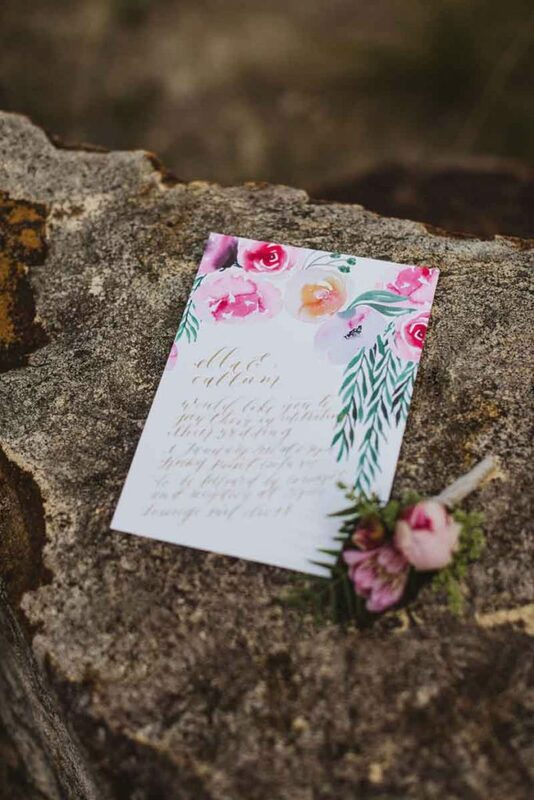 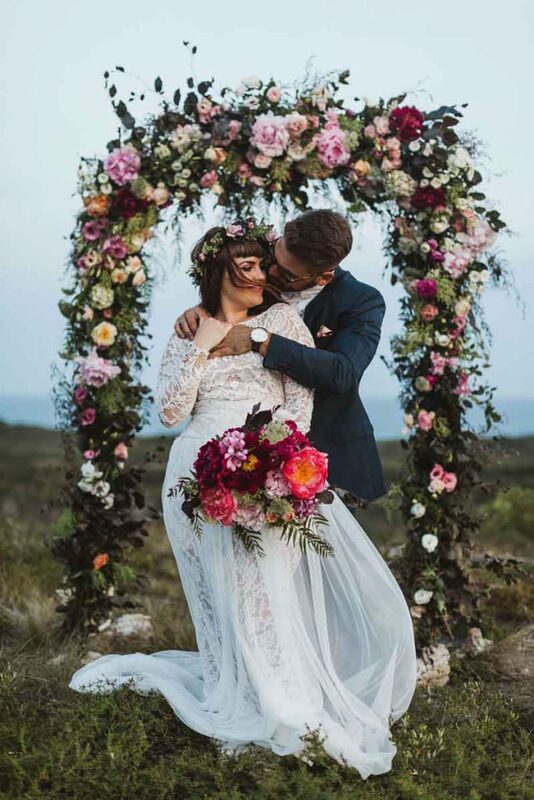 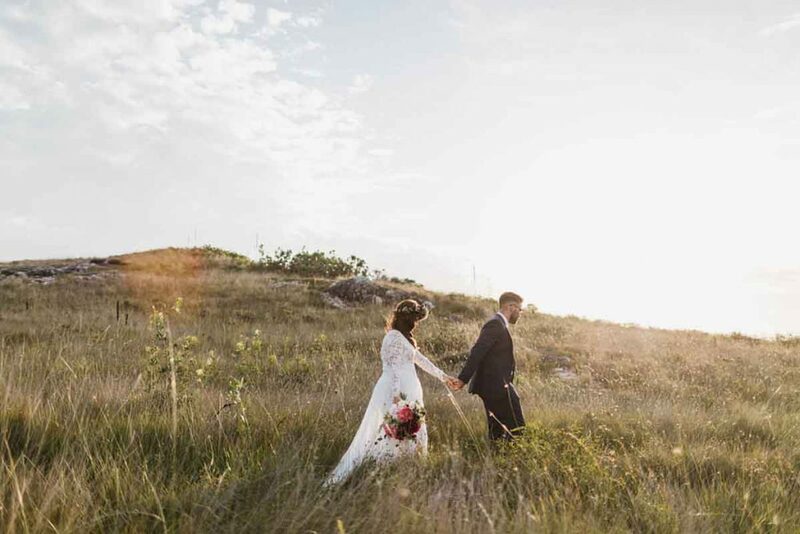 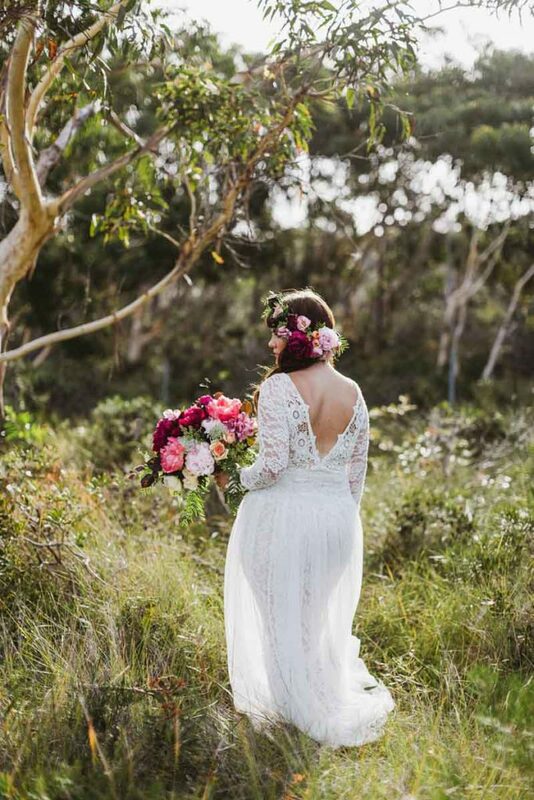 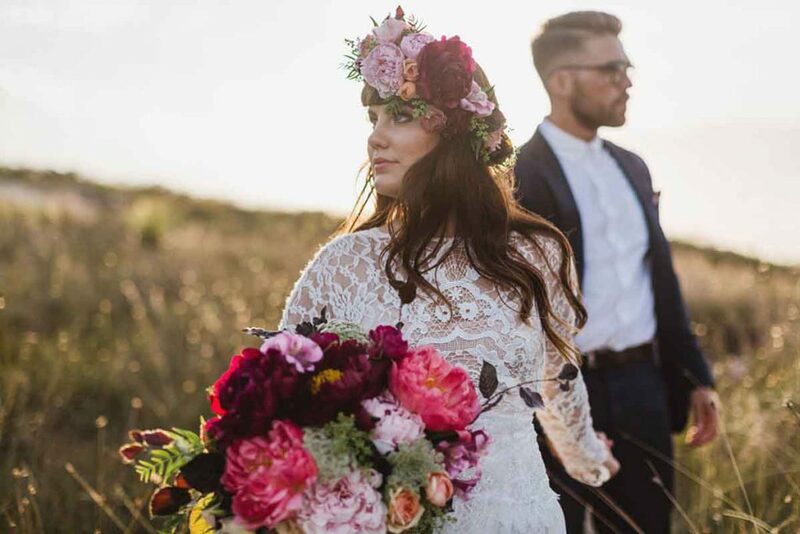 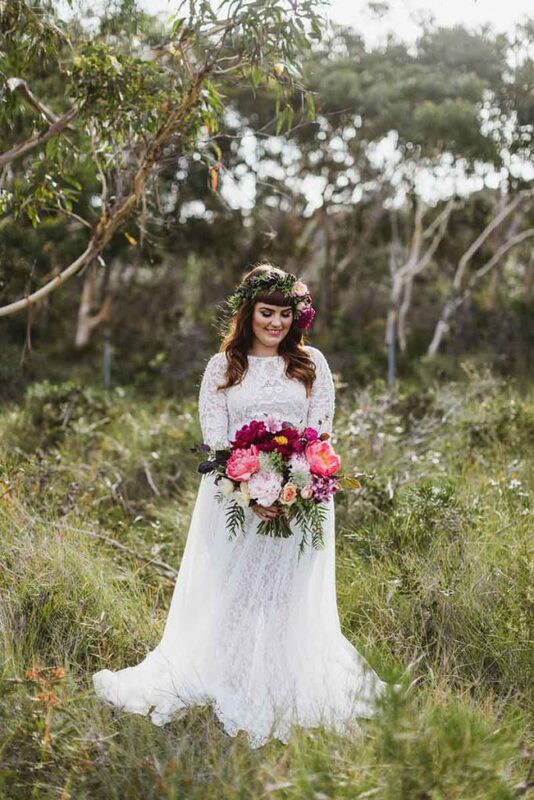 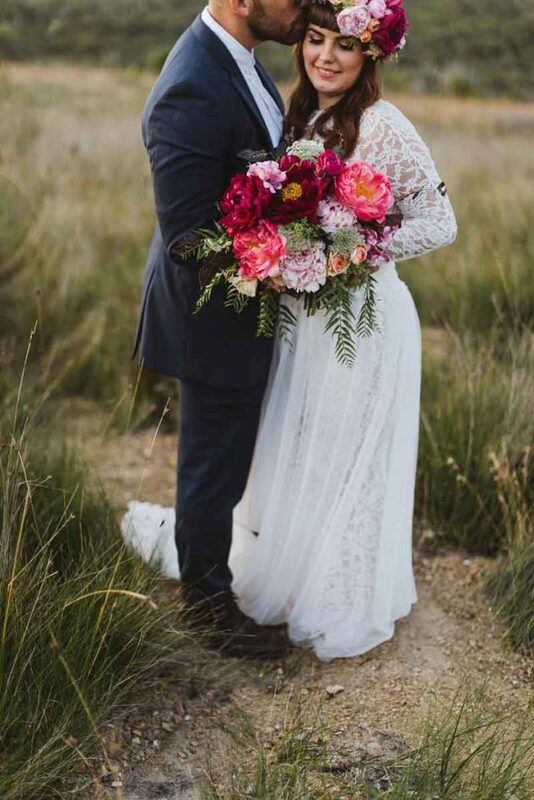 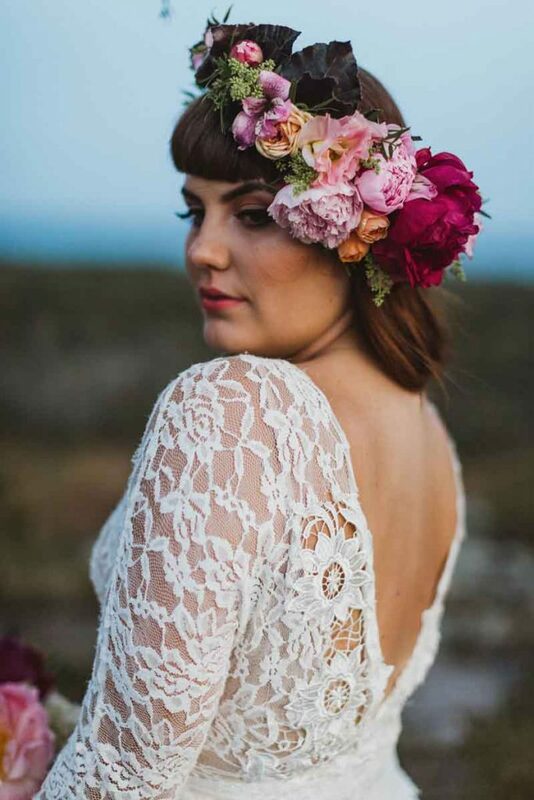 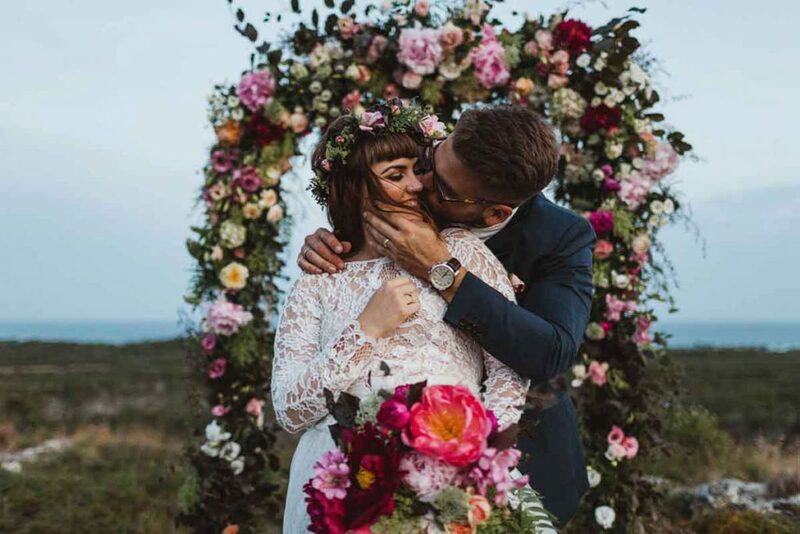 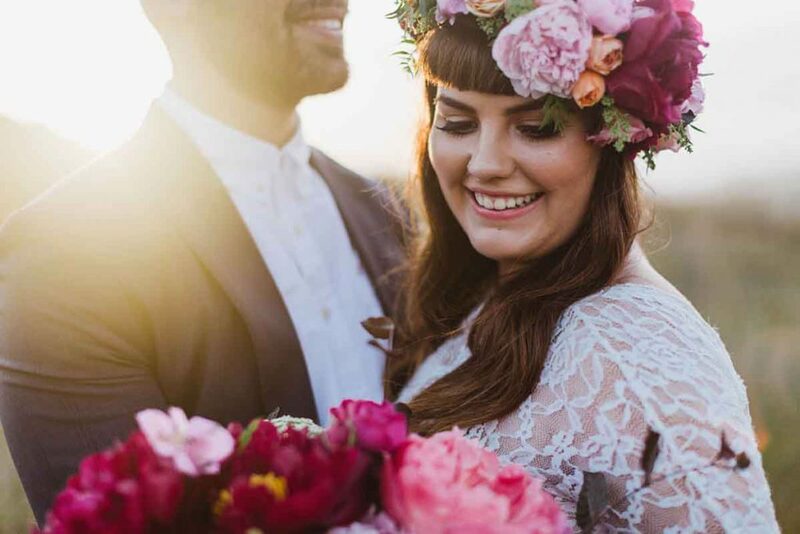 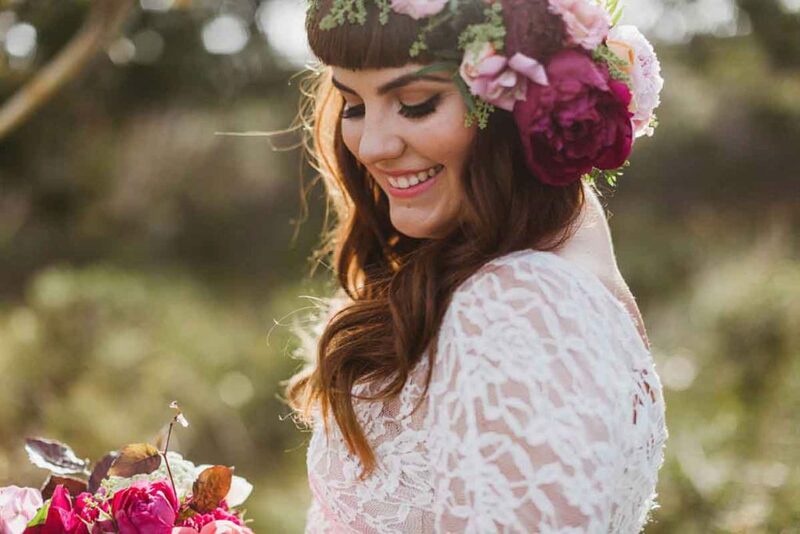 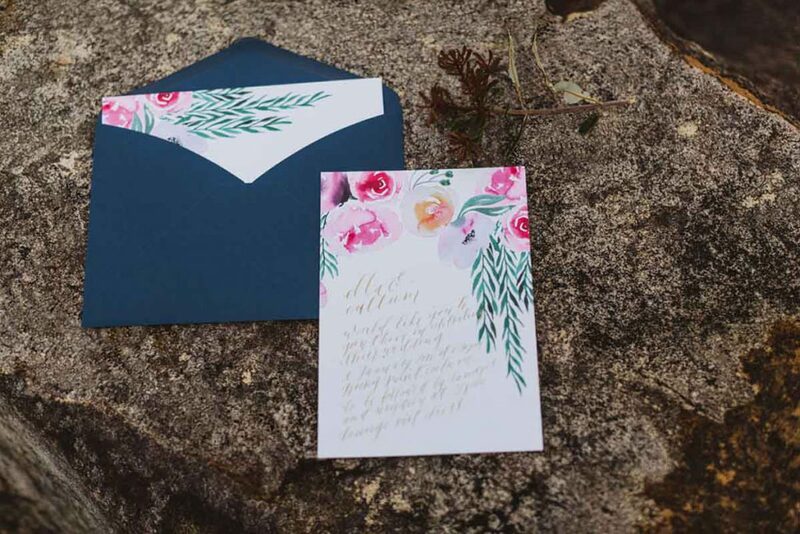 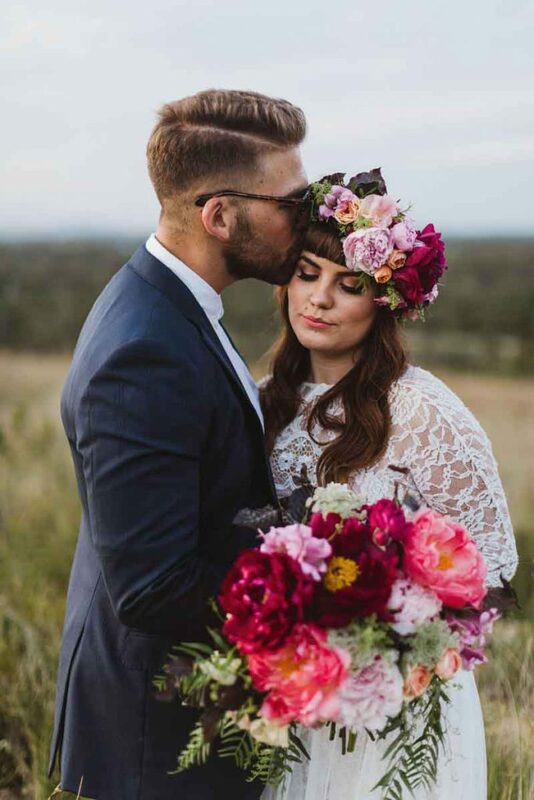 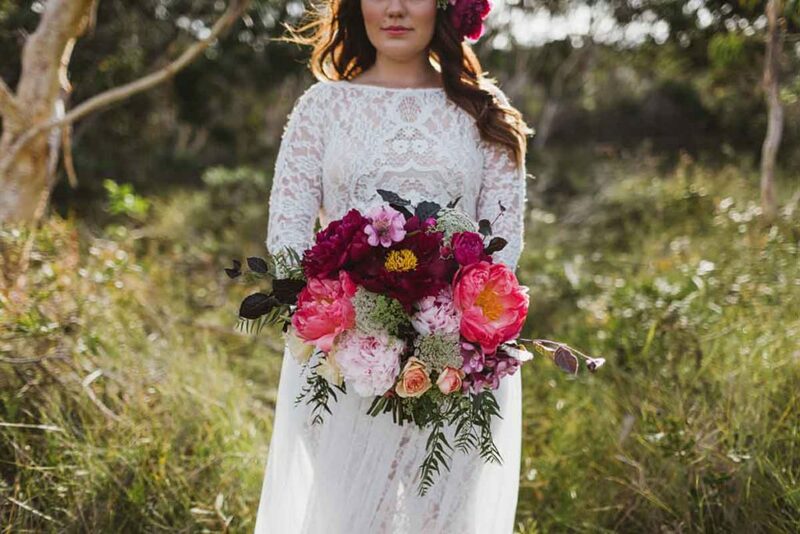 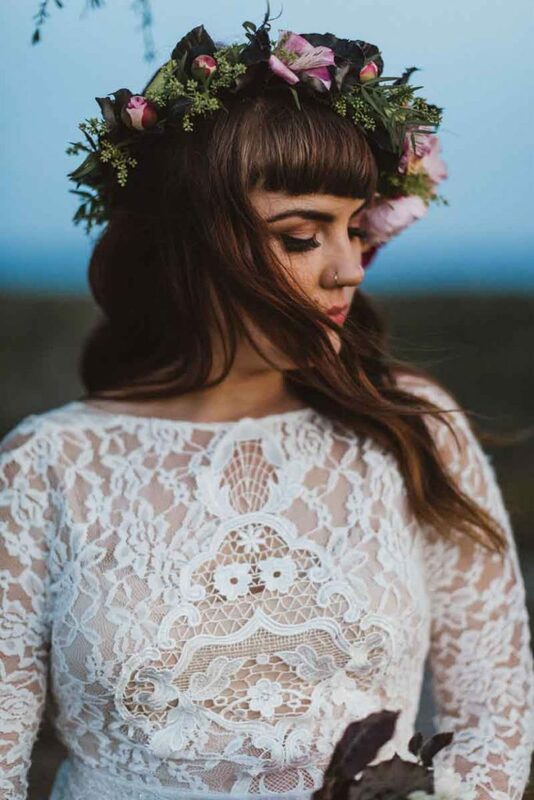 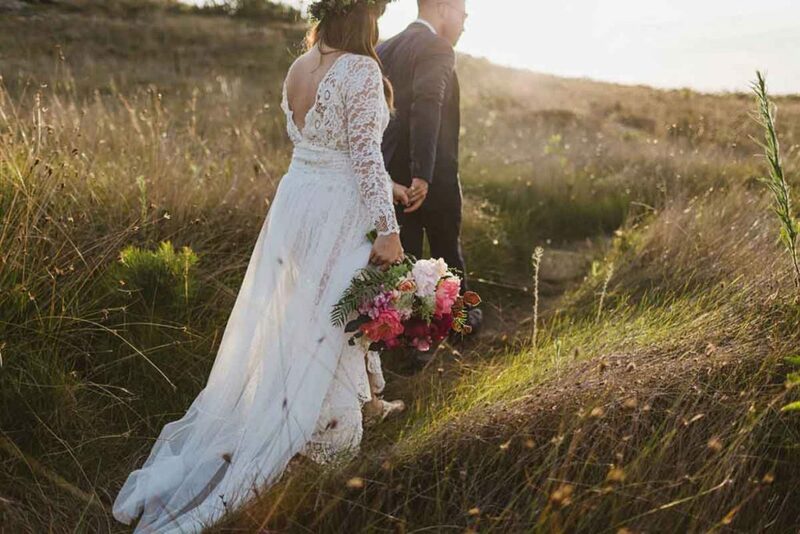 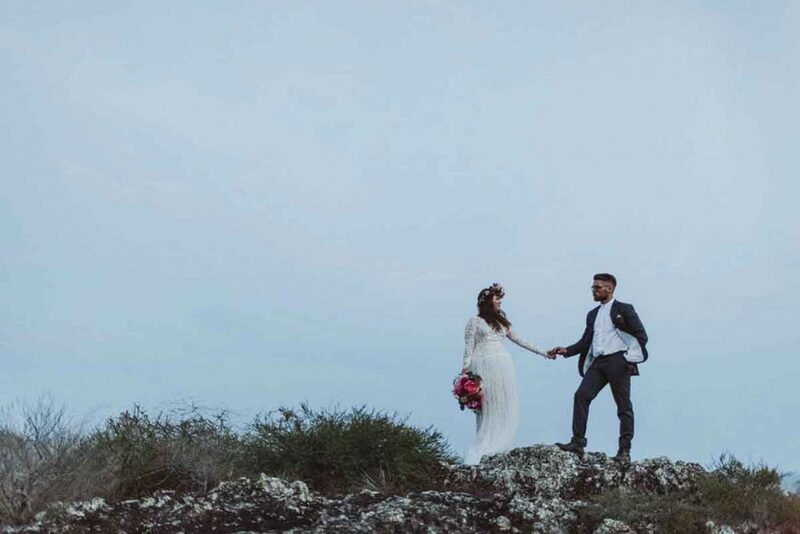 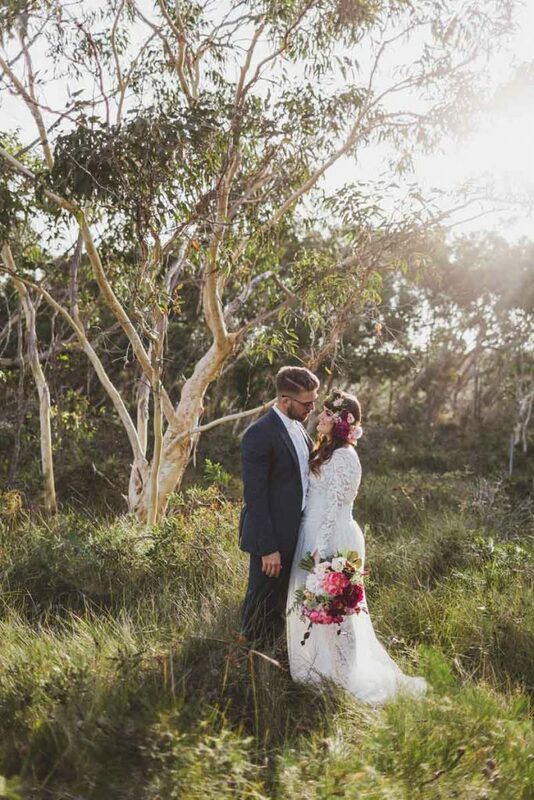 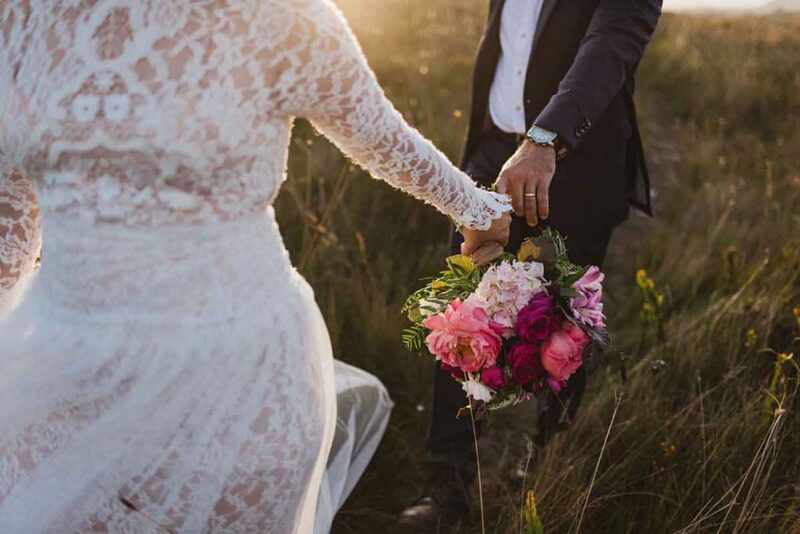 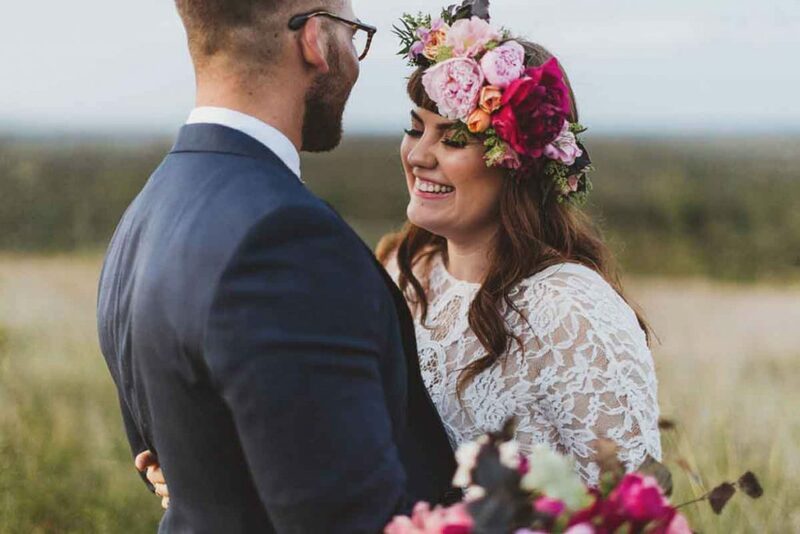 Bathed in sunlight, set in rugged bushland and softened by the lush blooms, this photoshoot encapsulates the Australian landscape and young love. 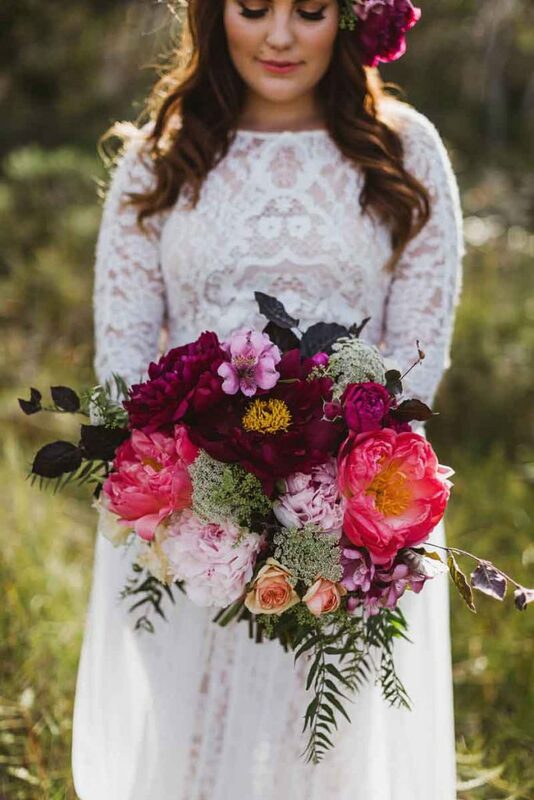 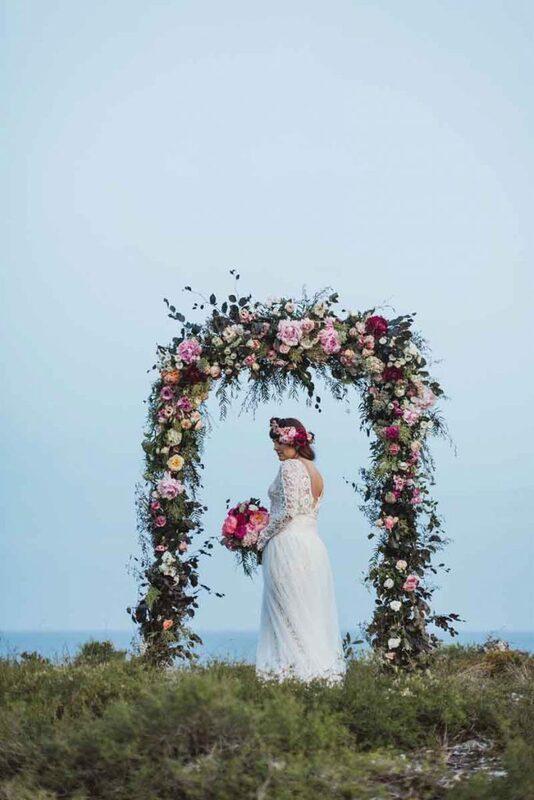 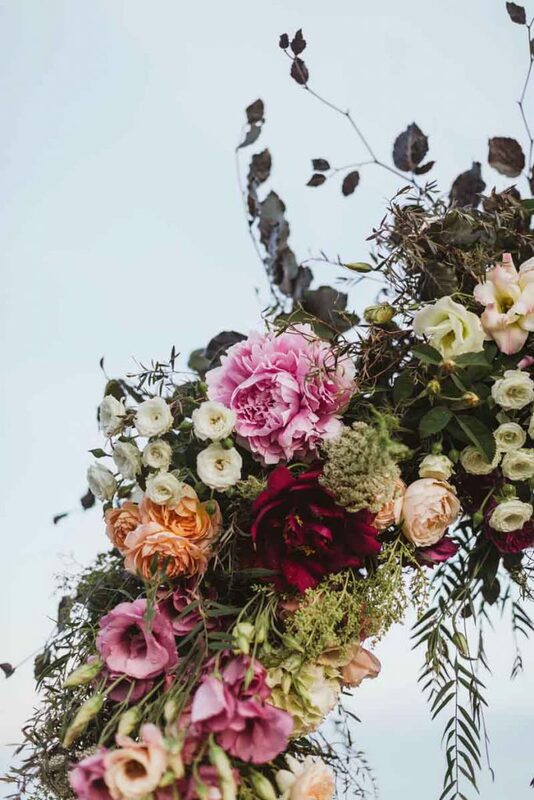 We used a mass of pink plum and coral peonies, champagne lisianthus, Queen Anne’s Lace as well as an abundance of peach and cerise cottage roses teamed with birch, pepper tree, and privet berries. 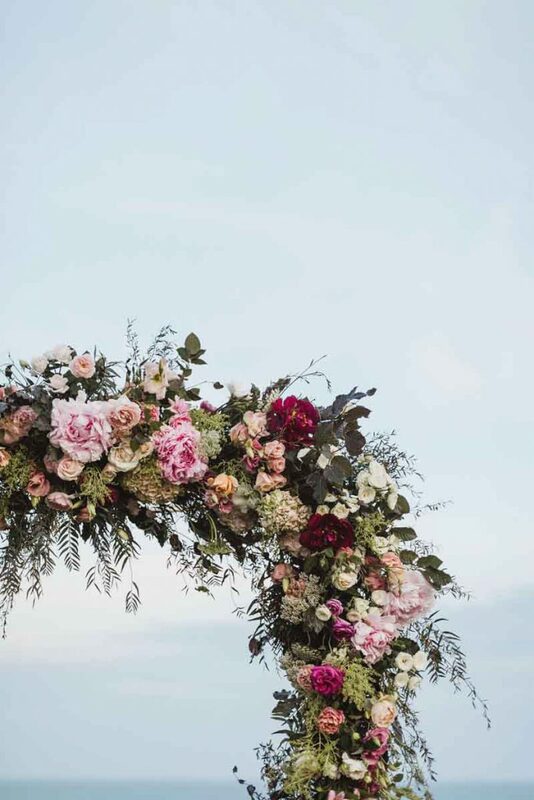 Hauling the oversized arbour dripping in a mass of garden style blooms up the mountain proved difficult on the hot summers day but it was totally worth it even if we did dodge a snake or two! 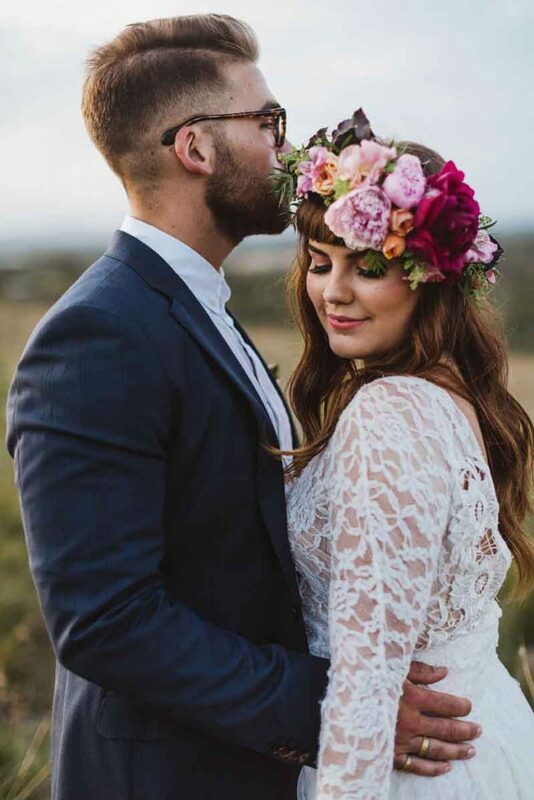 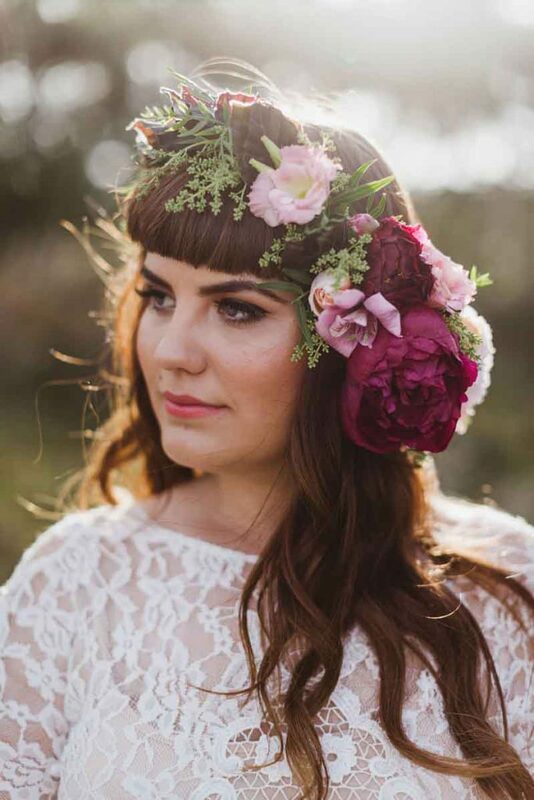 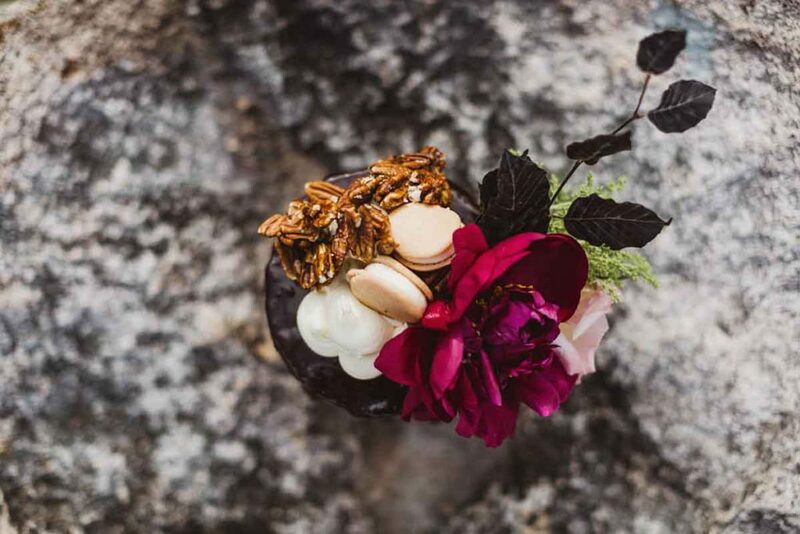 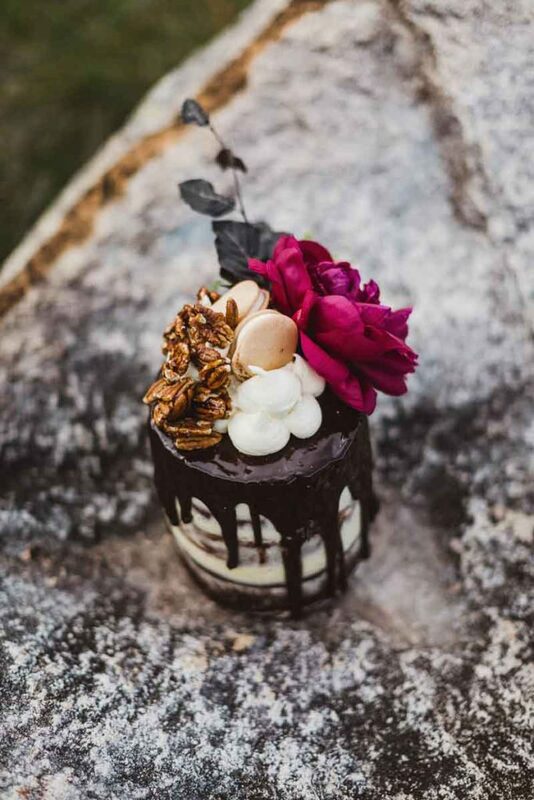 A bohemian luxe inspired asymmetrical flower crown complimented the abundantly gorgeous bouquet which looked good enough to eat! 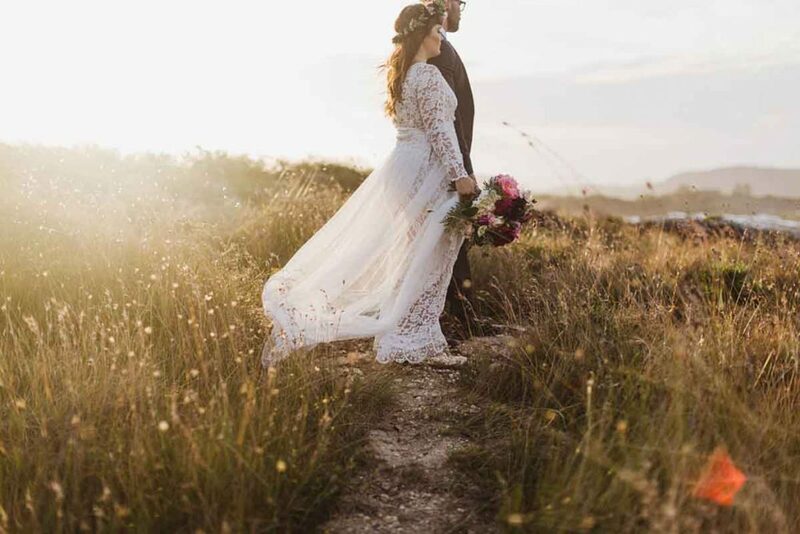 Featured on the Nouba blog.